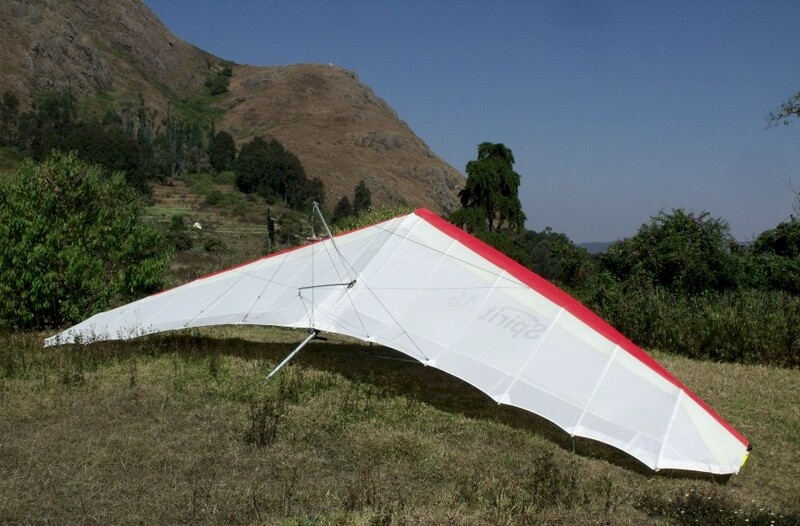 “Spirit 16” Hang Gliders are designed to suit rough operation for beginners, intermediate and recreational soaring pilots. Easy to rig with quick fix fittings so that you can spend more time in the air. Very easy take off with responsive handling. Progressive and forgiving stall characteristics. Lots of feedback for easy flying and landing. The sail is made from the best European sailcloth, has refinements like reinforcements at all points of highest tension and has adjustable battens and tips for easy washout and span-wise tension. 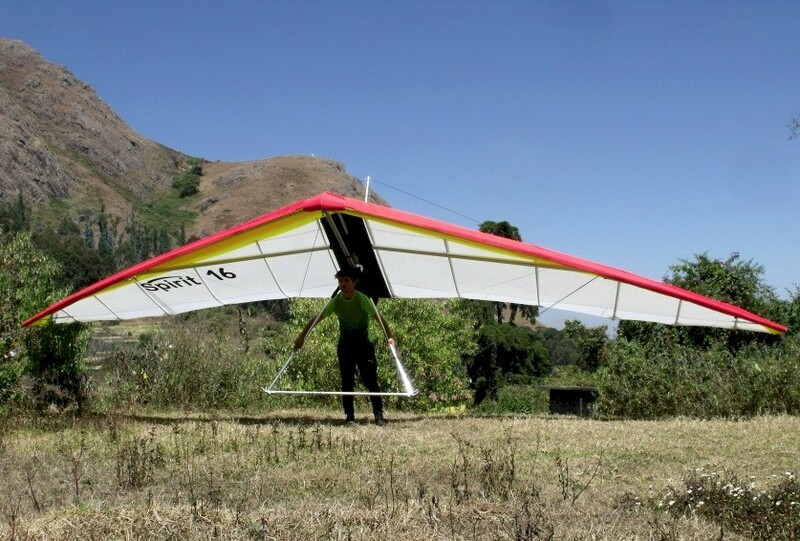 An Affordable Intermediate and recreational hang glider. 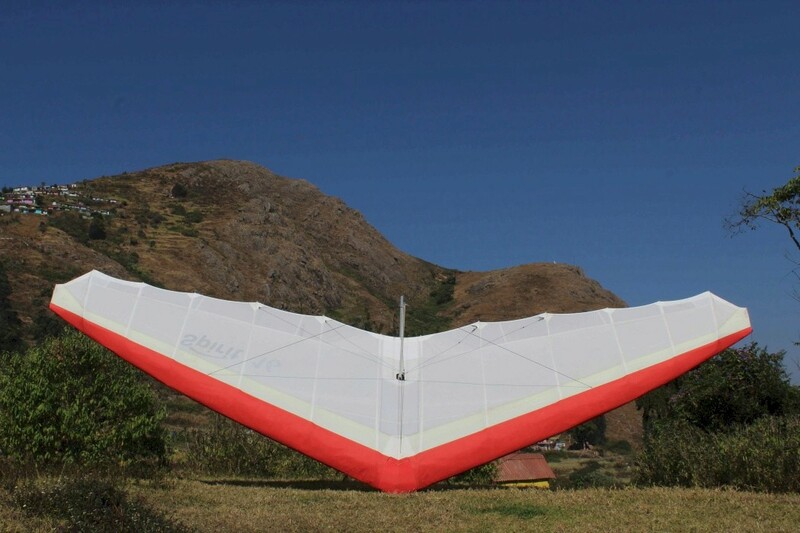 The New “Spirit 16” hang glider features: Quick nose catch for easy ground rigging. Single pin connection for king post removal Quick X-tube pull back with mushroom bolt, with simple, failsafe safety pin fixing The Spirit 16 can be short packed in approx. 5 to 6 minutes. 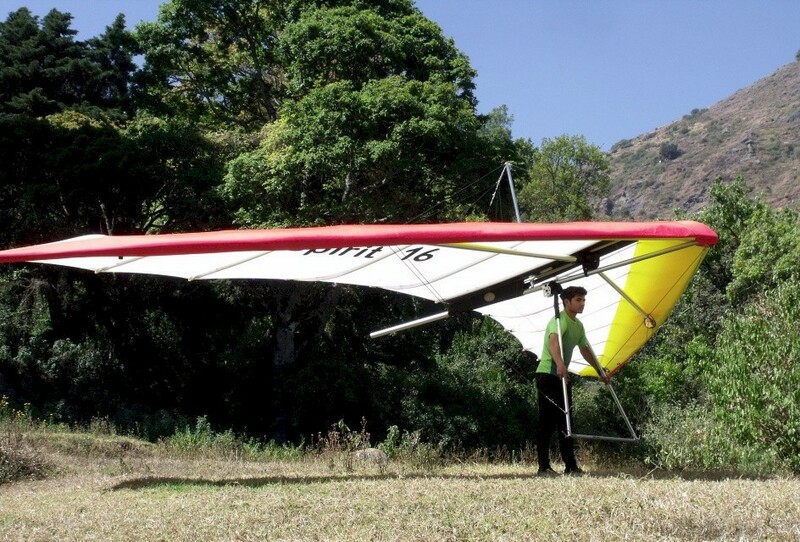 The Spirit 16 is an intermediate, recreational hang glider and suits a pilot that has had the appropriate training. “Spirit 16” wing. Ready to fly when rigged. All wings supplied with zipped bag. Heavy duty Cardboard packing for lorry transport: Rs. 4600 per wing. To buy or Enquire Please Call/Whatsapp on 94604 81356.